Don’t just take it from us- Let our satisfied clients do the talking! Thank you. I can’t tell you how much the Security Business in a Box package has helped me with getting my company started. Feel free to send people our way for any recommendations. Thanks again. I cannot express how your customer service skills helped me. I am a country boy from Leesville, Louisiana. My security company is in Shreveport, Louisiana. Your expert skills and patience should be in a seminar type setting; I think there is a lot of us that would benefit from this. Count me in. I was really impressed when you called me back more than one time to help me with my downloads. Mike in my book you are GREAT!!!!!! Thank you startasecuritycompany.com! My Target 5 SEO results for my business have been excellent. In the short time I have been with your company as an SEO client my security business has achieved a great presence in the search engines. My name is James Henry, CSO of Reliprotection Services, LLC. We would like to thank Nick DiSanti and startasecuritycompany.com for all of their assistance. I was somewhat skeptical like others mention, but Nick helped the process to be very pleasant, as well as informative. The website that they designed was very helpful for a person like me that had a strict budget. The forms that were integrated into the website save me time and money. The information provided has given me the edge over my competition. The thing that stands out most about startasecuritycompany.com is that they are professional, personable and very knowledgeable. I have seven years of security experience as well as a Degree from APU in security management, but the information that I have received from startasecuritycompany.com is invaluable. Thanx again Nick this is great stuff. I’ve been in law enforcement for over 15 years and I spent 8 in the Army and by far the info and forms I received from your company makes me feel as if I’m immediately able to operate my business with the same professionalism and precision as both the Police Department and the Army. The clients are amazed at the presentations I make. I did not anticipate the large amount of business that I have received so quickly from using the startasecuritycompany.com website Search engine optimization program. Within a few weeks of investing in the website SEO startup kit, we were receiving requests for quotes and bid opportunities from all around the state. Our SEO program that startasecuritycompany.com developed for us gives us better web presence than our competitors, without paying for expensive banner ads or search ads on google. 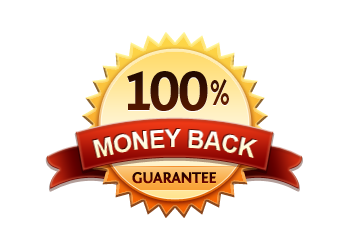 Dollar for dollar the investment we made on the SEO work for the website produces the most security contracts for us, and quickly paid for itself many times over. I recommend this program to any company that wants to be able to contain their advertising costs while expanding their business. Thank you for the free Security Company Forms, what a wonderful and valuable resource. Please keep up the excellent work. Mr. Evans you guys are awsome! I purchased the Security Business in a Box and this product has given me the confidence I need to make it happen! I’m looking forward to purchasing your full Security Start Up Package in the near future! Thank you Sir! We have had great results from our website and the security templates that we obtained from startasecuritycompany.com. Nick and Mike have been great to work with . These folks run a great service. Thanks for all your help in making IPS a big success. I just wanted to send you a response to let you know that I received your e-mail and was able to download the Power Point via the link you provided. I appreciate your quick response to my issue and the the convenient solution. In a time where good customer service is almost nonexistent, I try to make it a point to acknowledge “good business”. Thanks again. where to begin until I found your company. My name is Linda Price, Vice President of Lawrence Price Security Company, LLC. We are located in Waldorf, MD. I discovered your website a year ago and have found it to be an invaluable resource of information for our company. 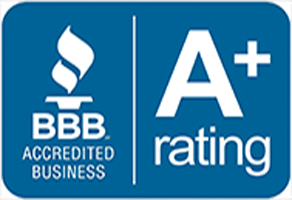 Having been in the security business for almost four years, your website has provided me with reliable information and products that I have used as I explore business opportunities. Your website is easy to access and products ordered are very user friendly. Thank you so much for providing us with the help we are looking for when we need it the most. Let me say that your web site and company continuously have been a great asset to my company. I have purchased several items from your web site and they have helped my colleagues and I greatly. So, thank you for all that you are doing to help us as new security business owners. We purchased the full Security Business in a Box. It provided a lot of information and a different take on venture concept that we hadn’t thought of before. I would hate to recommend this product because it makes it easy to create our competitors… but we are happy with the product! Pacific Crest Legal Solutions, Inc. I would admit that I was somewhat skeptical about ordering a security services proposal online, but after doing so my fears was quickly put to rest. The document we received was the epitome of professionalism and I feel quite confident presenting this document at all levels with prospective clients. Surely, you would be our first source of information and advice as we seek to grow our company from strength to strength. I just ordered the Security Business in a Box and I must say I am very impressed. The best part is I can edit as I see fit. It’s a great product. Thank you. Hi, I wanted to say that I was taking a business and a security management class and the teacher couldn’t tell me anything about the security industry that wasn’t in the book already and I didn’t even know where to start to find real help. I’ve been in the class for 8 months now and in the past 2 days of purchasing your Security Business in a Box, I learned more about the security industry then in any of these classes. Thank you for the great contract form and information from your company. I purchased many forms and documents from startasecuritycompany.com and I can’t say enough about how much these forms have helped out my company, myself and my co-workers. When you are running a security firm time is always against you, it really helps when you don’t have to worry about the time that is involved in designing your forms and policies. The amount of professionalism that are in these forms from startasecuritycompany.com is simply unbeatable. The website came out awesome and I want to thank you and your team for all the hard work and dedication put into this project. I appreciate all you have done for me. I bought your E-Book for $49.00 (Starting a security company) and I am very happy with the result. It is very informative and has become a valuable asset in just a very short time. Black Wind Protection Service Inc.
Startasecuritycompany.com is the best! They are real people you can talk to who actually are in the business they talk about! As a minister and entreprenuer, I have seen alot of “get rich quick schemes” come by selling guides or How To’s but haven’t succeeded in the How To’s themselves! Thanks a million for the mentorships you’ve given me! Keep up the great work! I just purchased the security company that had been my employer for the past 5 years. I’m brand new to the business side of security, so your website and services are perfect for me. I bought the whole package and found it to be extremely useful, with documents and contracts that are very well written. It would have cost me far more time and money to come up with these things myself. Thank you very much for getting my new security business off to a great start. Thanks a million NICK. If every one in the world was like you, this world could have been a better place. Please continue putting smiles in more faces as you did and continue to do for me. The Almighty God will pay you abundantly. Thanks again and again! I recently discovered the website www.startasecuritycompany.com. I have a background in business, and have started several enterprises over the years, but when we decided to go into the private security field, I quickly discovered that it is a unique animal unto itself. I am very appreciative of the effort and years of knowledge that you have made available to the public through www.startasecuritycompany.com. The business plan templates saved us hours of work. The web site design and hosting took all of the guess work out of creating an industry specific web presence. The client contract templates saved us thousands of dollars in attorney’s costs. Your company has been instrumental in assisting our company establish and execute our business plan. I wish you continued prosperity. I just want to take this time to thank Mr. Michael Evans himself for creating such an excellent website for companies such as ours, his products are extremely helpful for anyone how wants to start a security company or have an existing one, I would recommend his products to anyone in the security industry, the perfect package is the $169 bundle, the best deal ever, thanks again! The information I received from startasecuritycompany.com has been very valuable to me! I purchased a dvd from another website about starting a security company and it does not even come close to information you provide. I thank you for sharing your knowledge!!! The website is setup in a way where anybody can find what they are looking for. It’s so user friendly. Dare Investigations & Security, Inc. The website is an excellent starting point for any person that is thinking of starting up a security business. All you need in one easy to navigate website. Don’t need to go anywhere else to find what you need. startasecuritycompany.com is the one and only resource available that could effectively assist me with starting APEX Security and Patrol. The forms they provided are not only ready for immediate use, but they can be used as a road map to create additional forms. I am very pleased with my decision to purchase ALL my forms from startasecuritycompany.com. I am a Veteran of the Navy and the Coast Guard and have partnered with a few of my shipmates to make our dream of owning a company a reality. I did not tell them about the site, at first, and they could not believe how extensive my paperwork and documents were in such a short time. Your site and vision is a blessing to anyone considering starting a security company. Thanks! As a new business owner, the task of compiling the various forms, contracts, and other paperwork necessary to stay organized and “on top” of the business can seem daunting. Your comprehensive and thorough work is evident in your material and I look forward to their application to my private patrol business! I purchased your contract and was very pleased with the ease in which I could customize it to my needs. There were some items in there that I would not of thought, even after 30 years in the business, Thank you so much. I’ve spent weeks and weeks of writing my own company’s proposals and contract which was a great waste of my time. After purchasing, downloading and editing your materials, I had a Security Service Contract and Proposal that looked like it came from the lawyers office in 4 hours. Thank you for saving my sanity. I was initially a little skeptical, but the more I navigated startasecuritycompany.com the more of a believer I became. I went on to purchase a number of the products, and was truly impressed with what I received. For anyone considering or even already in the business this is a tool that you will definitely use, and will allow you to stand out among the competition. Thank You. creating them from scratch. I recommend the products to anyone interested in starting a security company. As I searched the web for info on how to start a security business your web site was the most suggested, I checked it out and it had so much useful info it was unreal. I would like to add that the Security Manual has been the best instructional material on Starting a Security company that I have ever seen. It starts off with getting the company named and up in running in a short time. If someone is willing to read the material and make some edits to the forms that were supplied in the manuals, they can start soliciting their security services with no problem! All the information a person needs to start a Security Agency is right in your hands. Great job! The start a security company site provides easy to use turn key solutions at a very affordable price. I would recommend this site to anyone considering starting a security company! I am truly grateful to have found the web site www.startasecuritycompany.com. the information I have obtained has been very valuable to my start up security business. 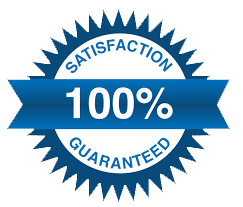 I was very satisfied with my encounter with startasecuritycompany.com with products exceeding expectations and a fast reply to a support request. Time is too valuable to reinvent the wheel. Great job. Thank you for your product. I was looking for fresh ideas to get me going. Your product was exactly that. I liked the immediate download format and allowed me to complete needed tasks instantly. I also like to easy to read, well organized flow of direction. I started with ‘the security start up e book’, however, plan on ordering the complete package. The ‘one stop shopping’ makes my research duties managable. I look forward to dealing with your company in the future and , again, great job. I found the ebook “How to Land Security Contracts” to be all meat and no fat. I just recently started my own security company. Not only do I have my own security agency but I am also currently serving my country in the Army. I didn’t just open the security company to make money. This is a way I can also serve my community here at home by providing the same quality of service and support here at home as we do abroad. I just bought the $169 combo package and it has really helped out a lot and cut my time in half doing paperwork. Great products, hope to see more! I purchased the package deal last week and found all documents far exceeding my expectations. They have been very well written & composed, keeping all the latest trends of the Security Industry in mind. Also the forms were very informative. I’m sure all this information would give me an edge in floating a security firm, which I intend to do so in India, later this year. Thank you! As Director of Griffith Corp. Security Service, I salute the International Executive Security Association and www.startasecuritycompany.com for their efforts to promote security in our country and in our communities. I believe that all security begins in the home. All terrorism begins in the home and once we do our job and do it well, our nation will reflect our efforts. My wife and I THANK I.E.S.A. for joining us in this effort. God bless the staff at I.E.S.A. and God bless America. UK based so we’ll edit laws & regulations, etc, but great SOP template. Our original was corrupted, and the time this will save in re-writing makes it worth the money spent. Many thanks. Start a Security Company has made my start up a smooth transition. All of the info and templates were so helpful. I look forward to having a long working relationship with this AWESOME Company!!!!! I found the ebook “landing security contracts” to be straight forward, concise, containing valuable information. The SOP template offered by startasecuritycompany.com saved me a lot of hassle and gave me a real good starting point for my company. I strongly recommend their products for anyone interested in starting a security business of their own. This is a great source of information for security companies. It may seem overwhelming with all of the information that is provided, but it will definitely prepare you and your company for long term success. I purchased your “buy everything” for $169. I was incredibly impressed with your product. I’ve seen other security companies use contracts that are far inferior to yours. I was very impressed with the amount of detail put into each form, plus the ability to edit for specific company use, and highlights, is a major advantage (some places give you a form that can’t be altered). I have owned State Security & Investigations, LLC since June 2000. 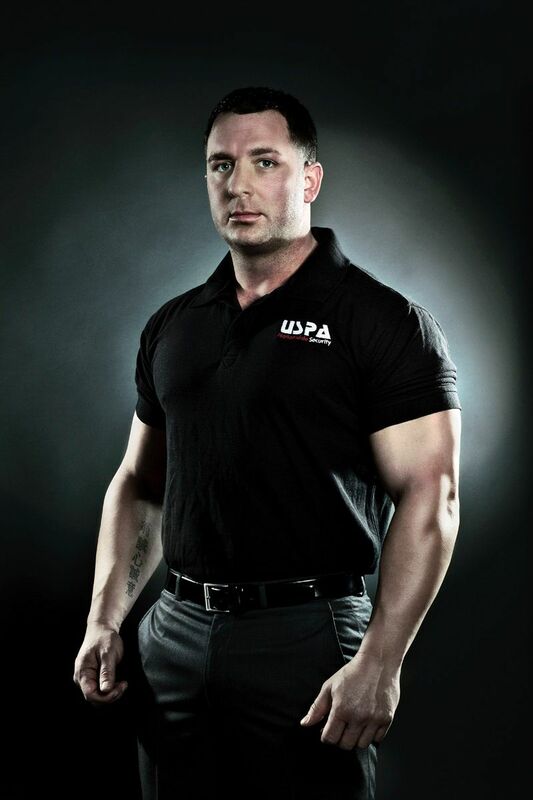 I have been involved with Private Security & Investigations for approx 16 years before I started my company. 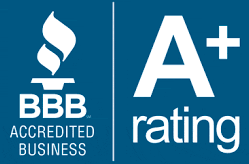 After obtaining information from STARTASECURITYCOMPANY.COM I learned even more valuable information that will enhance my Agency to become more competitive in the industry. Start A Security Company also provided me with great customer service, and went beyond the call of duty when I was in need of support. Hi, I purchased your SOP’s and was able to immediately utilize a fully editable and functional set of procedures. Saved a lot of time and money! Valley Protection & Investigations LLC. Being a part of the IESA Network has made such a tremendous difference for our business in the protective services industry. Since becoming a part of the network, we have increased our knowledge and grown our business significantly. We have taken on some great opportunities with some high profile clients along the way and attribute much of our success to being a part of the network. Thank you for adding value to our business and helping Special Ops to be a positive force in this exciting industry. We look forward to a continued working relationship with you guys. I am still in the process of starting my own company, but what I have learned through this program has been of great help. I have used what was provided to me in putting together everything I need to approach and get clients. I have already gotten 3 clients for another company I helped start using this program, I hope to soon be getting them for myself. I ordered two of your forms, the Proposal and the Contract. They were great, a big help, and saved me time and money and enabled me to land a contract. I found your information and documents to be absolutely vital in starting my own security company. Startasecuritycompany.com has helped my company from start to finish. Starting from information on getting insured, landing contracts and SOP’s (a request for security services has just popped up in my email as I am typing). The templates are very detailed, precise language and formatted to give to any potential client. Just about every piece of paper work that I need to operate a successful company is here in these templates. This is one of my best investments since starting my company. Just wanted to take a moment to let you know how helpful the information we received from your site has been. Me and my associates have a dream to start a highly professional security organization that is a notch or two above what’s available in our area. Like most dreams, we found that reality can be quite a bit different than what we had imagined. We already know about the operations aspect of the security industry and by doing a large amount of research we are beginning to understand the business side a whole lot better. Your resources have given us a big nudge in the right direction in dealing with the nuts and bolts of actually pricing, bidding and running a security services company. Thanks for being there for us and helping to keep the dream alive. After obtaining “Start A Security Company” package, I read everything from front to back, several times. The layout and ease of reading made it very easy to implement many aspects of putting the business together. Mr. Evans has went to great lengths to make this a “do it yourself” process. Most helpful was the fact that all of the points of contact are there for you. Too easy! Mr. Evans, this is great! I was extremely impressed with your service. I ordered some proposal forms online and had a problem with the download. I emailed your help service and a few minutes later I received an email with the forms attached. I knew then this was the start of a beautiful relationship! Our relationship with startasecuritycompany.com has been nothing but positive. Their products and services, including web site building, are second to none. Also refreshing is that both Michael and Jamie are accessible and very helpful. We definitely would recommend startasecuritycompany.com. After looking for hours on the net I ran across you’re web site, your company had everything I was searching for. After purchasing one of your bundled packages of forms needed to start my new venture and the support on the phone you gave me. I was able to move my company start date up by 60 days. Thank you!!!!! The tools and services provided on Startasecuritycompany.com were a huge help to me and my business partner. We purchased the “bundled” business start up documents, which ended up giving us the administrative information for which we were looking. Our company “Guardian International LLC” specializes in Executive Protection; however, the assistance provided from Startasecuritycompany.com, and even directly from Micheal the CEO, was invaluable. We are intending to use Startasecuritycompany.com for our insurance and bonding needs, as well. Thanks a lot, Mike. We appreciate your professionalism and assistance! My name is Alfredo Brun and I have to say that your web site is extremely helpful to me. I’m in the process of starting my own security business, honestly your material is insightful and very informative. I have been in the security business for about 25 years and still learning. Your web site has really given me something to think about, there I came across plenty of material that will help me now on my journey and for years to come. Hi, my name is Monica Brown and I bought your package deal and it has saved me A LOT of time! The only thing we are lacking right now is the money upfront so your information about the factoring really helped out! We are currently getting all of our own information together (logo’s, policy’s, SOP, uniforms, etc.) to move forward. I am the owner of a small startup security company in Dallas-Ft. Worth. Although I have been a law enforcement officer locally and abroad (U.S. Dept. of State), I know little about running a business. Of course, successful security companies want to keep everything they have learned over the years secret. Even if you take the time to work for them, they make you sign contracts stating that you will not use their forms upon leaving. This makes it very difficult, time consuming, and expensive to learn everything from trial and error. I want to thank you for putting this material out there where we can get to it. I believe that there is enough business for us all. Outstanding Customer Service!! Where the passion for the work is put before the $$$ !! I would and will recommend your services to anyone interested in a Web site and/or starting a new security company!! Our company purchased a security contract template from startasecuritycompany.com, it was terrific very thorough in the information. We are grateful for this company and the service they are providing. I just ordered the “Package Deal”, to help launch my new security company. Ordering was easy and I look forward to using these valuable tools. Thank you. I ordered a product online and was amazed at how quick and easy it was! Their live customer service chat is a great tool and they can answer any question that you might have about the security business. Thank you for the great contract form and information, from your company. Thanks again. We are very pleased with your products. As soon as we downloaded them we began to use them immediately. They are exactly what we have been looking for. Interesting and very good product you have here and definitely a time saver for anyone going into the security business. (I got the entire packet for setting up security business). I do think so far my favorite you have put together is the Employee Manual. This is so often overlooked by so many businesses and yours is put together rather well. I look foward to making use of all of your products in the not too distant future. This is a great site for ANYONE that is thinking about starting a security business, opened my eyes to many things that would have been overlooked had I not purchased the complete set, what a bargin and well worth the money. THANK YOU – THANK YOU! Upon first viewing this website, I wasn’t sure what to think of it. I thought the price was way too low for the product offered. I took a chance and WOW! all of the documents were professionally written, well organized and very informative! The service contract alone would have cost hundreds of dollars to be written by an attorney! Great job! I am very satisfied with startasecuritycompany.com $169 deal that I just purchased, I was very impressed with all the great information it provided me. Now I am on my way on get my business started. California Confidential Invesigations: We are in a growing mode and need a security manual for our new security guard business our contact and purchase of the SOP helped get it started much quicker than trying to develop a manual on our own. Your products are a great source of information for anyone who is starting a security company or expanding a security company. I highly recommend your products. My Name is James Hogan II, CEO of Blueprint Security & investigation. I am very amazed at what your company has put together. You have saved me so much money and time with you products and I look forward to building a relationship with your staff. Once again, thanks for the service that you guys provide. I would like to tell you how much I appreciated the information in your complete package. It is a real bargain. The Costing Manual and the Company SOP manual are worth the price of the whole package by themselves. I would like to say thank you for such valuable information. You just cannot believe how much this information has made things understandable. I have been doing security for about 7 years now and had no idea how to start my own security company until I came across startasecuritycompany.com. Your information has been an invaluable resource to my company and I look forward to doing more business with you in the near future. I will be contacting your company about a security website package.